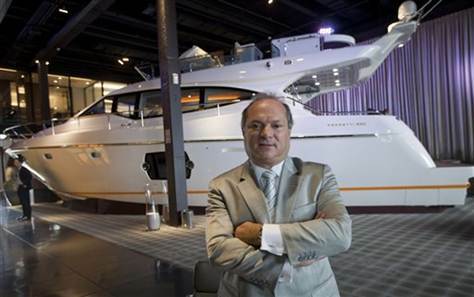 This Aug. 10 photo shows Marcio Christiansen, CEO of Ferretti Group Brazil, at the company's show room in Sao Paulo. If the rising wealthy class in any indication, business is doing good in Brasil. SAO PAULO — Marcio Christiansen reeled off tales of the growing ranks of rich Brazilians who visit his luxury Ferretti yacht showroom, where clients sip espressos on an oversized sable sofa and electronic music bubbles in the air. One man paid $2 million for a ship, Christiansen said, after succumbing within 30 minutes to his kids' pleas of "Buy it, daddy, buy it!" Another toured the sparkling 53-foot yacht on the showroom floor, then asked to discuss it over lunch. "The waiter comes over to take our order and the client asks to borrow a piece of paper from his pad," said Christiansen, CEO of Ferretti's Brazil group. "He starts working out a contract on it and we've agreed to it before I've asked for a sandwich." Ipanema Beach in Rio de Janeiro. Prices for prime office space in Rio became the highest for any city in the Americas this year. RIO DE JANEIRO — Pondering the financial storms lashing Europe and the United States, Seth Zalkin, a casually dressed American banker, sipped a demitasse and seemed content with his decision to move here in March with his wife and son. 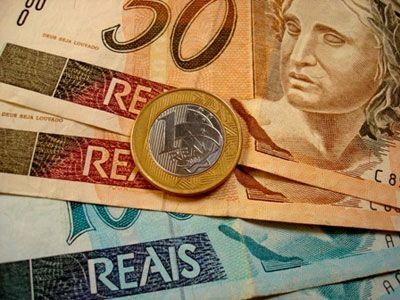 As consumer confidence dwindles in the U.S. , farther south in Brazil the local consumers are still happily spending and not even double digit interest rates are enough to truly scare them away. That’s because Brazilians on balance are fast moving into the middle class. More than half of the population is now solidly middle class compared to well less than that five years ago. When looked at month over month, consumer spending rose a meager 0.2% in June as the government’s macroprudential measures to slow inflation by raising interest rates all year showed their strength. The Law is fresh and new. 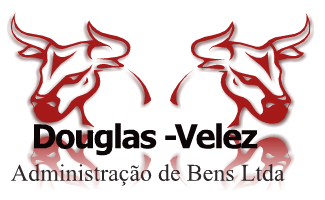 The LEI Nº 12.441, DE 11 DE JULHO DE 2011. has been published today, finally bringing the Individual Limited Liability companies to the Brazilian Civil Code.